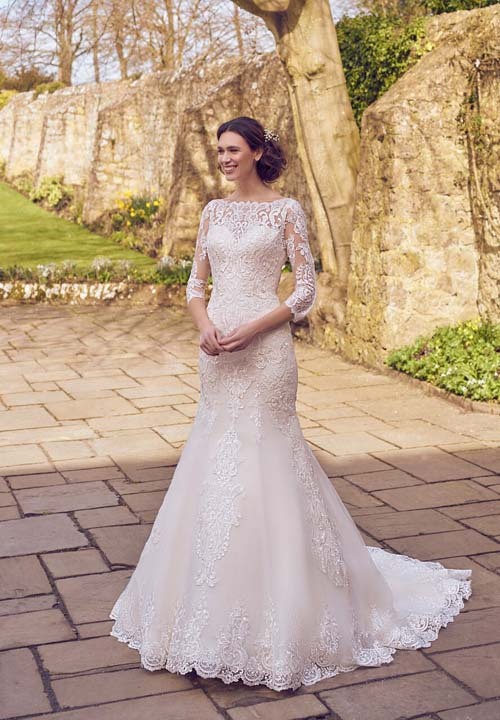 A gorgeous off the shoulder wedding dress that is complimented with a full length sleeve. A figure hugging trumpet style dress. The plunge v back gives a very sophisticated look. The button back detail and scalloped edged chapel length train.